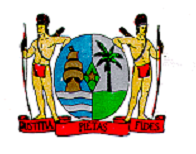 The Ministry of Trade and Industry of Suriname (MT&I) has within its mandate the development of trade, industrialisation, entrepreneurship, intellectual property and competitiveness for economic growth. Furthermore, the ministry plays a key role in improving the investment for climate, growth of the private sector and policy on monitoring and enhancing access to markets in strategic sectors. MT&I does this in coordination with other public institutions and private sector stakeholders in a national, regional (CARICOM) and international environment. In this respect the Sustainable Development Goals (SDG) 8, 9 and 12 have been identified as the primary goals within the UN system in which the MT&I can contribute notably. Goal 8: To promote sustained, inclusive and sustainable economic growth, full and productive employment and decent work for all. Goal 9: To build resilient infrastructure, promote inclusive and sustainable industrialisation and foster innovation. Based on this mandate the ministry in partnership with the UN agencies, UNIDO, the UNDP financed through the REDD+ programme supported a 3-day workshop, designed and facilitated by Futures Diamond, and aimed to provide key inputs for the development of an industrialisation policy for Suriname through a review and broad consensus of high-level stakeholders upon strategic areas for the development of production and industrialisation by identifying key emerging and future industries, as well as prioritisation of sectors. Due to the extremely active commitment of workshop participants, MT&I and Futures Diamond agreed to extend the original scope of the assignment and schedule in order to promote a much wider stakeholder engagement strategy through an online survey aimed to further validate workshop results and promote a more systematic prioritisation process based on the International Standard Industrial Classification of All Economic Activities (ISIC). 42 industrial priority areas on agro-food (8), green-growth (4), energy (11), mining (6) and information technology (13). Key ISIC sectors and sub-sectors with high growth potential. The online stakeholder survey helped to validate the results of the stakeholders’ workshop and further prioritise key economic activities in Suriname by 2025. All 21 ISIC sectors were rated and 57% of the total score was shared between the Top 5 ISIC sectors expected to experience incremental or radical positive transformations in the future: 20% agriculture, forestry and fishing; 10% manufacturing; 10% information and communication; 9% mining and quarrying; 8% education. 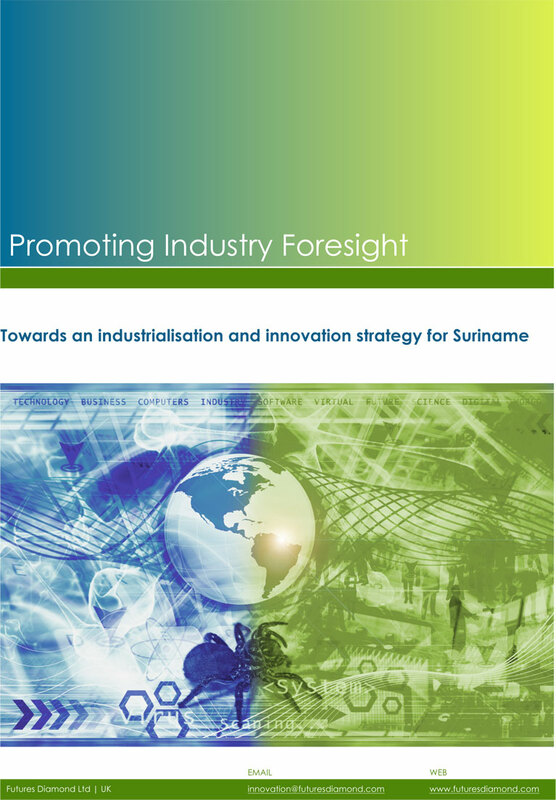 The results and insights included in this foresight report constitute a sound and key input for the formulation of the upcoming Suriname industrial policy. Although the next phase for this foresight process has yet to be agreed, further rounds of sector-specific and industrial landscape-shaping workshops and studies leading to policy and technology roadmaps, capacity building, and investment plans for prioritised areas are recommended. I hereby invite you to participate in a survey developed by consulting firm Futures Diamond a specialist in developing Industrial and Innovation Policies. This survey has been designed to gather information on your view on the industrial development of Suriname. It is yet another step in the process which has started one year ago with the technical assistance of UN agencies UNIDO and the UNDP and serves as a follow up to the workshop “Promoting Industry Foresight” in June 2016. This workshop as well as your contribution through this survey will ultimately enable the government of Suriname to develop an Industrialization Strategy. Your knowledge and experience within your specific field of work is essential for achieving our goal. Your participation in this survey is completely voluntary and will remain confidential. This will only take approximately 20 minutes to complete. Thank you for taking the time to assist us in our endeavors in developing the Industrial policy of Suriname. Note: This expert survey uses the International Standard Industrial Classification of All Economic Activities.